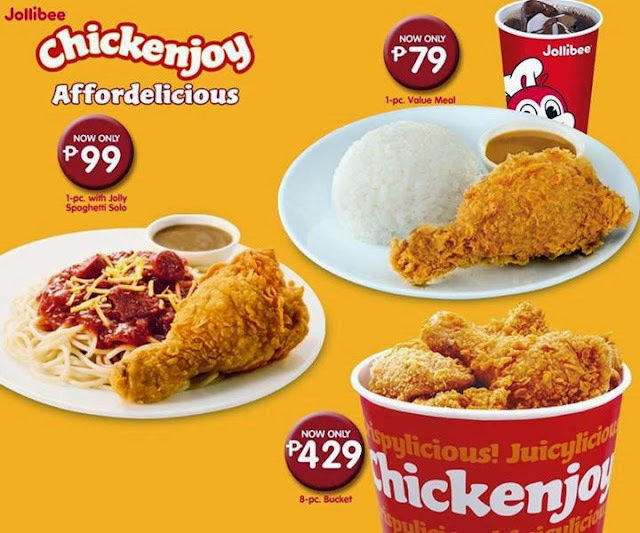 The Food Alphabet and More: Jollibee Chickenjoy now made more Affordelicious!!! With this price rollback, talaga namang ang sarap ulit-ulitin ng mas affordelicious na paborito nating Jollibee Chickenjoy! Definitely more reasons to enjoy more Jollibee Chickenjoy! Dine-in today, Take it out, however you may want to enjoy it, it will surely make your day, just like how Jollibee made mine!